You must sign in or register to continue. Please sign in to see your delivery charge. We will donate 1% of the value of your order to our charity of the month, Butterflies. AFTAID is a specialist national no frills charity. It was formed by the amalgamation of Aid for the Aged (registered in 1988) and Aged in Distress (registered in 1982). 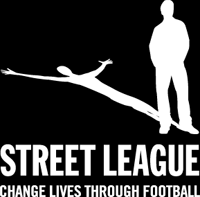 Street League use the power of football to get the most disadvantaged into work, education or training. Butterflies is an independent support group for Breast Reconstruction patients. Butterflies is the only known support group in the country specifically covering breast reconstruction. Its purpose is to provide a support programme by networking in the form of meetings and personal contacts to help inform and empower ladies contemplating breast reconstruction.